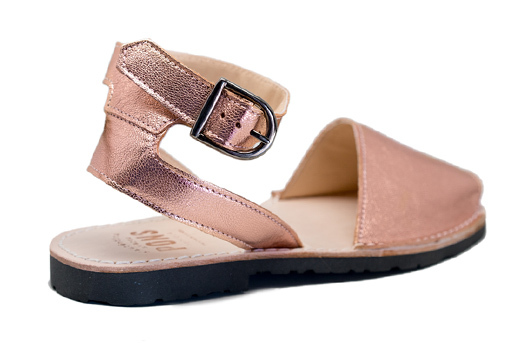 Look smart and stylish in our Women's Classic Strap Metallic Rose Gold Pons! 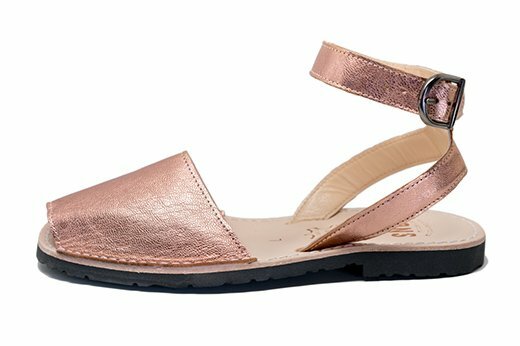 Constructed of high quality leather with a durable rubber sole & inspired by the traditional Spanish avarca, this rosy-hued pair of strappy sandals will lead to a number of cute outfits (flowy skirts, sundresses, skinny jeans) and fun adventures. Handcrafted in Spain on the island of Menorca.